This was my first Christmas as an adult with a real tree (and a real tree stand). In November, Matt and I had grand plans to go to one of those farms where you can chop down your own tree, but as December moved onward without our schedules coordinating for such an outing, Matt, my Hanukkah-celebrating husband, decided to take on the task of acquiring and setting up the tree all by himself. In retrospect, as the lone lifetime Christmas celebrator in the family, I should have gone over a few things with him beforehand—like the understood tree-to-room-size ratio, e.g., Times Square gets a giant tree because Times Square is a giant space; an ant gets a tiny pine needle because it’s all that can fit inside the anthill. And then there is the whole tradition of trimming the tree with friends and family along with a glass of eggnog and Christmas music. But I took all of this knowledge for granted, left him to it, and had the wonderful shock of coming home to a completely decorated, towering tree in our living room. I wish I had photos of us getting this tree out of the back door of our apartment. Branches were snapping left and right, and when it was finally out, our kitchen had become a spitting image of Sherwood Forest. (I watched Robin Hood: Prince of Thieves recently.) Once it was outside, we were faced with another challenge. What do you do with a Christmas tree when you’re done with it? In the suburbs where my parents live, I faintly remember a “Tree pick-up day” or something like that. Well, sans Googling/knowledge of our community’s tree removal services/policies, we took it to the dumpster where we take our regular trash, which is located in an alley behind our unit’s garages, which serves, along with the alley itself, as a bit of a magnet to members of West Hollywood’s homeless population. Once in the alley, instead of tossing the tree inside one of the dumpsters, we propped it up against the wall on the opposite side of the alley. Please forgive us if this is your Christmas pet peeve. In the morning, it was New Year’s Eve, and I had an 8am spinning class to attend. I opened the garage door and reversed the car to find our large Christmas tree still propped against the wall, only now it was thoughtfully decorated with purple ornaments very similar to the ones Matt had bought. I called Matt to tell him, and he divulged that the previous night he had also thrown away some of the excess ornaments, the bulk of which were purple. In Matt’s defense: “There were just so many of them.” And so, we theorized that while we slept, a homeless person went through the dumpster, found the ornaments, and trimmed the tree. I don’t know why exactly I’m telling you this story. I can’t find a way to tie it into the delicious oyster stew I made. I can’t even tie it into a way of summing up 2011 and wishing you a happy 2012. All I can say is that it seemed like a story worth sharing and is one I keep thinking about. Okay. I bought 10 oysters for Christmas Day without knowing what I was going to do with them. 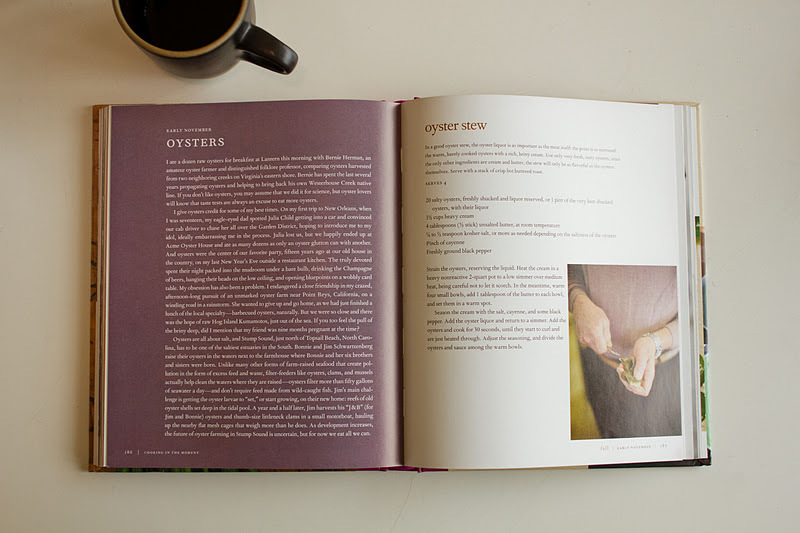 So, on Christmas Eve, when I opened my Hanukkah gift from my brother and sister-in-law and found Cooking in the Moment, and soon thereafter found Andrea Reusing’s uber simple oyster stew recipe, our Christmas dinner appetizer was born. As for our alley-based Christmas tree, Matt and I packed up some of our leftovers from our New Year’s Eve dinner (oxtail stew) and placed it under the tree with a note. This morning, we checked and it was gone. I know it’s hardly anything in the great scheme of helping others, but it’s something, which is better than nothing, which is a positive start for the New Year. Wouldn’t you say? Happy New Year, Friends! Hope it's one filled with hot stews, dear friends, and as much plaid flannel as possible. Wash and scrub the potatoes, and then place them in a large stockpot. Cover them with water and a pinch of salt. Bring the pot to a boil. Boil the potatoes until fork tender. (I just keep checking on them with a fork after about 10 minutes.) Once they’re tender, drain and return them to the hot pot. Mash the potatoes up with a scant ¼ cup of the half and half, 1 tablespoon of the butter, and salt and pepper to taste. Cover the pot with a lid to keep the potatoes warm while you make the stew. Scoop out the oysters from the shell over a strainer, making sure to catch the liquor in a bowl underneath. 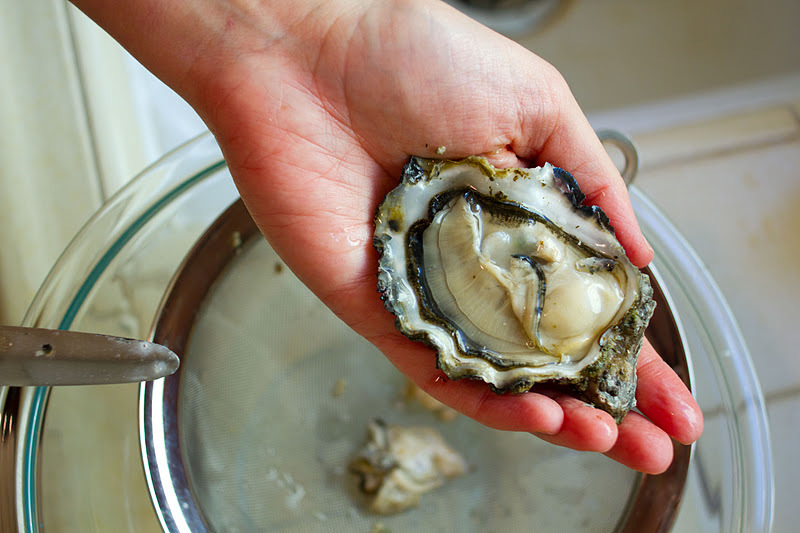 While the oysters are in the strainer, you may also want to check them for any remaining shell fragments before placing them in a prep bowl. Heat ¾ cup of the half and half in a heavy nonreactive pot to a low simmer over medium heat, careful not to let it scorch. In the meantime, warm two small bowls, perhaps in your toaster oven. 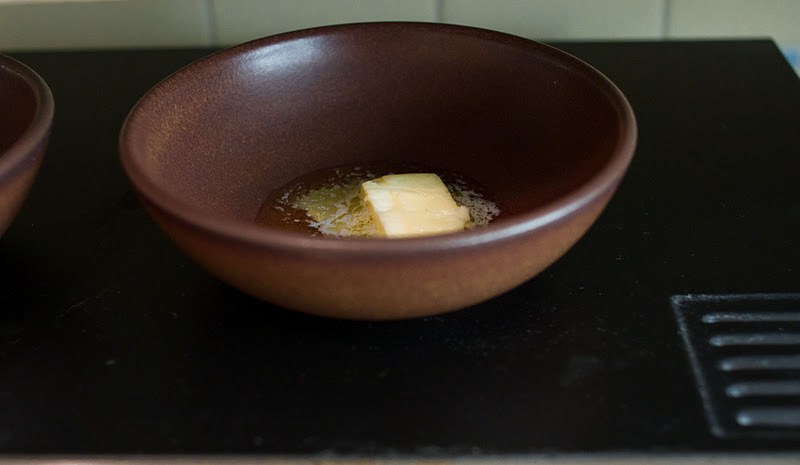 Add 1 tablespoon of butter to each bowl, and set them in a warm spot. Season the cream with the salt, cayenne, and black pepper. Add the oyster liquor and return to a simmer. Add the oysters and cook for 30 seconds to 1 minute, until they are just heated through. Adjust the seasoning, and divide the oysters and sauce among the warm bowls with the butter. Serve alongside two small bowls of the mashed potatoes, spooning the potatoes into the stew or vice versa, whenever it strikes your fancy. c) I was not aware of the "trimming of the tree" ritual, the truth is -- and you know this -- I thought trimming the tree involved clipping branches and it was something that had been done by a professional, prior to the point of purchase. What I did was decorate the tree, by myself. No biggie. What a great end of the year post. Were those plaid flannel PAJAMAS, per chance?? 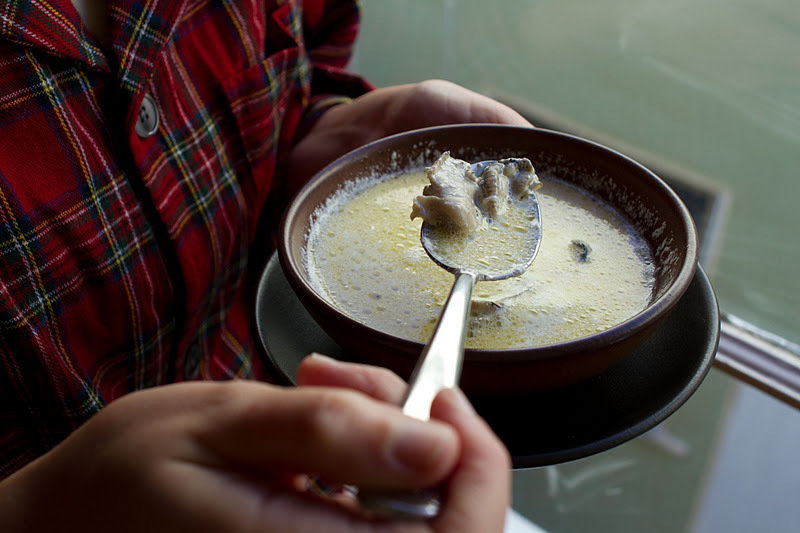 Oyster stew = such a classy choice for Christmas dinner! Love it! Can we hear about the oxtail stew next?? Oysters are one of those things that intimidate me even though I know (a) they shouldn't and (b) the return on investment is so high, deliciousness-wise. Have you ever seen the decorated discarded trees? It's one of my favorite post-Christmas street art surprises, when folks go around adding tinsel to all the dead trees that inevitably line Manhattan's sidewalks. It's like, I don't know, it almost gives the poor things a bit of their dignity back. Ha! I love the stories in this post and I always enjoy your blog! Your writing is that elusively perfect mix of serious, funny, to-the-point, and descriptive. Thanks. And Happy New Year! PS - I bought Tender on a whim based on the recipes you've shared from it. I rocks! On Christma day I was telling my grandma about the disastrous roast duck I made for Christmas Eve the night before and she told me that when she was growing up they always had oyster stew for Christmas Eve dinner. I wrote it down as something to research for next year. I admit I've never eaten an oyster so I'm not sure I would like it or not! Always love your posts/stories and recipes! Oyster stew, which I love, would make quite a tasty, unique take on mashed potatoes. I must attempt this! Happy New Year! It's oyster week at la domestique and I'm loving' your genius oyster broth potatoes! Happy New Year! We loved the story. Such great writing. 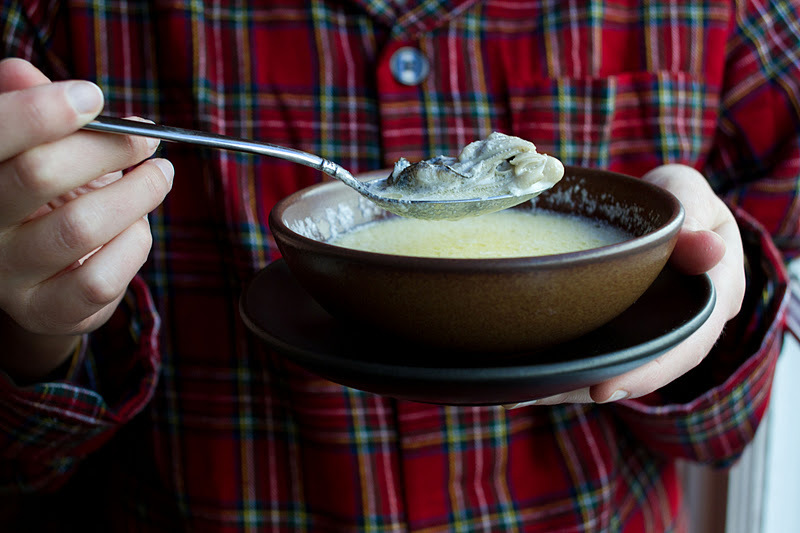 The oyster stew looks so delicious, especially with a red plaid background. Well, I'm the token Jew 'round these Christmassy parts. Last year was our first year with a tree- we found a lovely spruce, I gave him a name (Peetur) and hugged him a lot and even sang to him a couple of times. We had a tree trimming party, drank lots of wine and ate Christmas Pud, and Peetur was a happy member of the family (even the cat liked him!) until January rolled around and I realised we had to get rid of Peetur. Neither of us knew about WeHo's disposal program, so Jam chopped him up with an axe and we had a bonfire in the back garden. Well... it was a little too traumatic for me. There were tears, and I might have called my husband a barbarian, and after the bonfire was finished I refused to get another live tree ever again. This year our tree trimming was more understated. We have a plastic tree that looks remarkably real. I named it Peeturtwo, but it's not really alive and I'm ok with that. We're discussing getting a Douglas Fir and keeping it in a pot (they grow slowly) and having a reusable tree that tastes delicious too :). now i need to go pick up Reusing's cooking in the moment. The stew and potatoes look delish. Your tree story is definitely one worth telling. People decorate pine trees just off the roadsides here in Austin with tinsel and ball ornaments, and it's nice to see as you drive by, but the city forbids it. I guess the same elves don't go back to clean up. Also each year, some clandestine merrymaker adds a small bulb that glows red to those yellow caution signs that warn of deer crossings, making them Rudolph crossings. Pretty awesome. 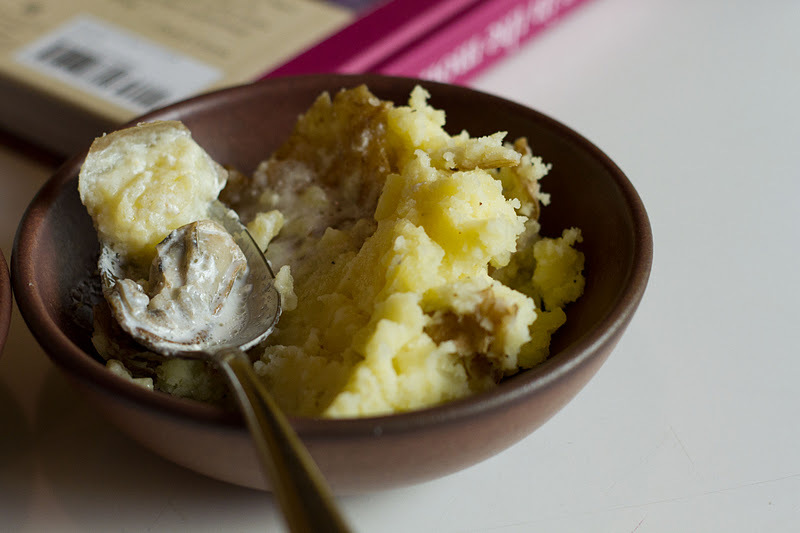 More relevantly: adding oyster broth to mashed potatoes is such a good move. Thanks for sharing the idea! @Mary Anne the oxtail stew video is coming. Don't you worry your pretty little face! @Meister Have not seen that! If shellfish intimidate, I say start with clams, they are a great gateway shellfish. @Ashley Thank you soooo much! and great purchase! @Jen They're definitely not for everyone (just ask Matt) but you've gotta give them a try at least once! @la domestique So excited for Oyster Week! @Rebecca Aww, i feel terrible for Peetur but wish you and Peeturtwo all the best! @Beth You won't regret it! @Beth That's amazing! Thanks! Also, thanks for the kind words on your blog, your take on the almond tofu w. snap peas and soba noodles looks pretty great, love the veggie explosion. I wish there was a phone number that I could call and there would be an Amelia story on the other end. Maybe at your restaurant there could be a telephone booth. Happy New Year lady! Hi Ameeeeeelia! Your friend SG is the smartest person alive. I want that number. Oh Wait! I HAVE it. But I really want to visit your restaurant, and its phone booth. This goes without saying: I Love Plaid! But you didn't answer the question on EVERYONE'S mind: is that or is that not part of a pj ensemble? I stand consistently in awe of your fearlessness around meat, shellfish, and sealed-shut oysters. P.S. I will be borrowing the divine Matthew Bookman around Dec 1 next year. Thank you. I'd try this but only if I prepare them :) You know, it is a bit tricky to prepare it 100% clean so I would not take chances. Nice idea for a Friday night supper. Love the recipe. @sg you're hilarious and sweet. Happy New Year to you!! @Maria hi! It's tricky indeed, but worth it, I think. I just learned of your blog from Lottie & Doof (via Juniper Moon Farm), and I'm loving it!! In addition to the obvious positive attributes, I'm loving the LACK of ads!! Some of my very favorite blogs have ads (ie. Smitten Kitchen, David Lebovitz), and although I love their content, I find their ads very distracting. Sort of like the video ad at the gas station when filling the car with gas....So, many thanks for starting my new year off right! @rose Thank you and thanks for noticing! (p.s. I love Lottie and Doof.) I used to have ads (money! yay! ), but they were just sooo ugly and for products I couldn't really get excited about... maybe someday I'll take them on again, but only if they make aesthetic and otherwise sense. Love the Tim & Eric reference "Great Job!" Wow the idea of Oyster with mashed potatoes is really attractive and made me so tempting to try out this recipe so soon....I like the way you elaborate the method to cook this awesome recipe...!! This looks amazing-I'd go for some of that caramel any time! Great recipe, I can't wait to try it!The last picture looks like a scene from a Wes Anderson film. so awesome! Regarding the first part of your post; if you do decide to celebrate again perhaps you should look into getting Austin tree removal services for your place to avoid the trimming and the debris and so on. Though usually I think that getting the right size tree generally works I think your tree must have been really grand.